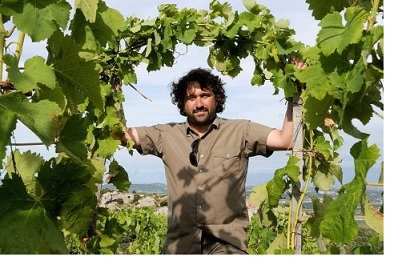 Matthieu Barret, one of the best winemakers in Cornas. Matthieu Barret manages his Domaine de Coulet in Cornas very well. He gained international recognition thanks his grades awarded by Robert Parker: over 95/100 awarded for each vintage. 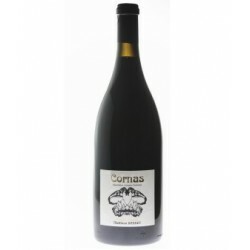 Since its first vintage in 2001, his 100% Syrah Cornas are organic and biodynamic certified (by Ecocert and Biodyvin). The vineyard covers 12 hectares of Cornas with different terroirs. This enables the winemaker to produce several cuvees, corresponding to each parcel, which once assembled corresponds to his vision of the terroir. Matthieu Barret also produced a Côtes du Rhône (also biodynamic) with his winemakers friends. 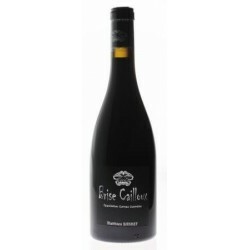 This allows him to propose wines that are always as authentic but more accessible in their youth. Long live the “Little Brown Bear”! 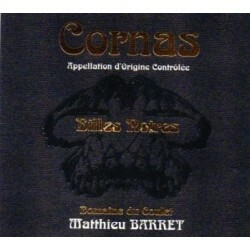 Why should you buy the Cornas of Matthieu Barret ? Robert Parker's Wine Advocate (Jeb Dunnuck, dec. 2014): To say I was blown away by these new releases from the young Matthieu Barret would be an understatement. All of these Cornas are brilliant wines that I can't recommend enough! Robert Parker's Wine Advocate (Jeb Dunnuck, dec. 2013): These two Cornas were standouts in a larger, appellation-wide Cornas tasting that I did. They are classic, gorgeous wines that left me wondering where I could buy some.